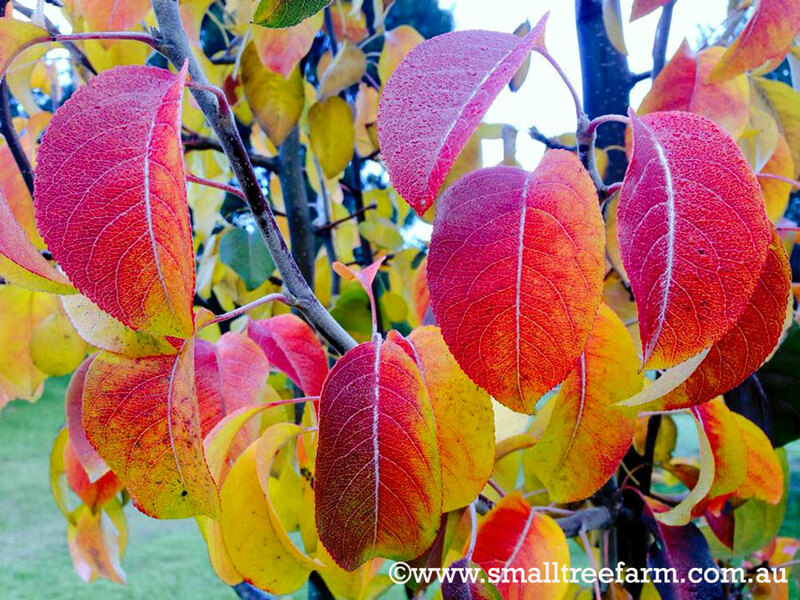 This list describes the Ornamental Pear (Pyrus) trees that we generally grow in our bare root nursery. 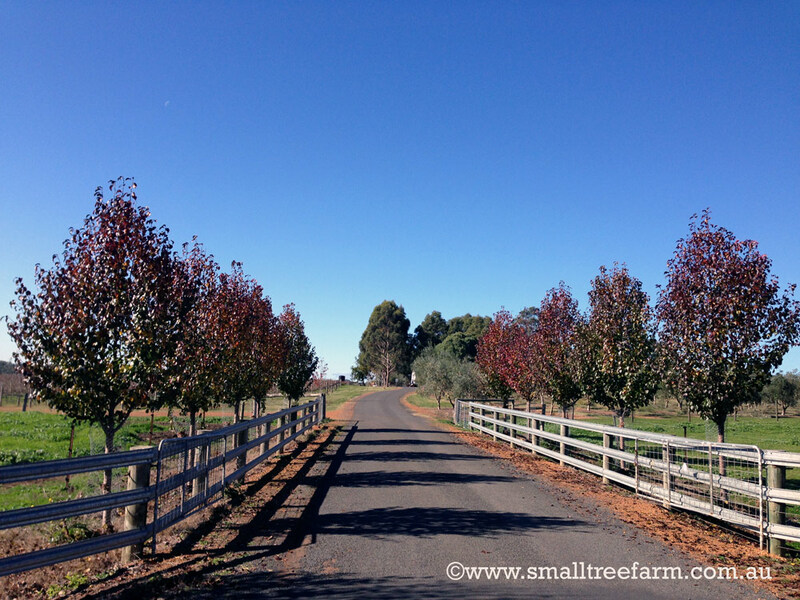 Due to vagaries of production and demand however not all of the trees listed here will be available every year. 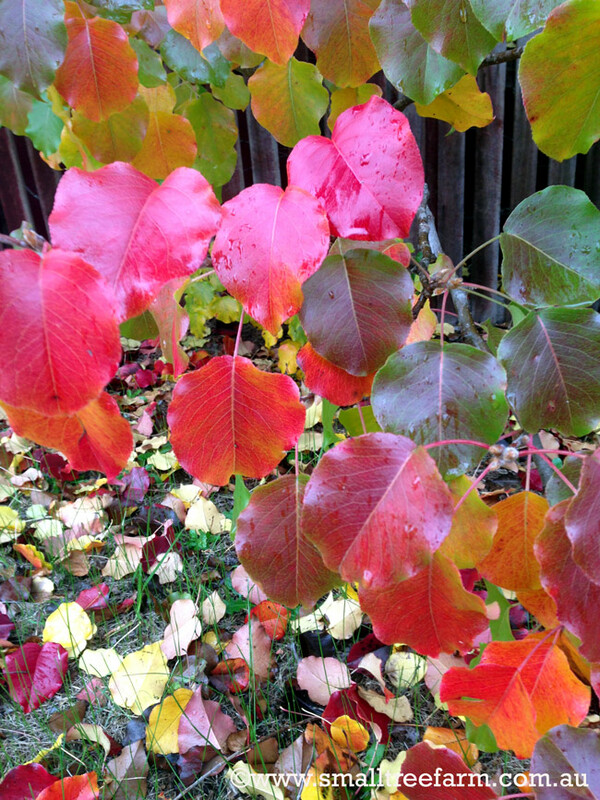 For more information about bareroot trees please see the 'About bare root Trees' page. 10- 12m exceptionally 15m. 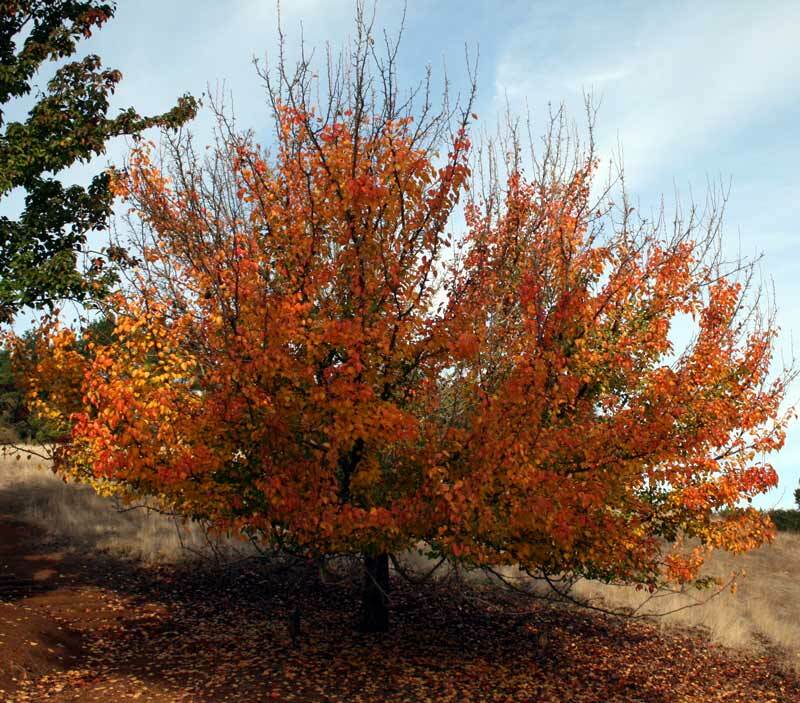 * One of the more stately of the pears the Bradford is taller than it is wide with a strong pyramidal shape and colours amongst the best oranges and reds in autumn. 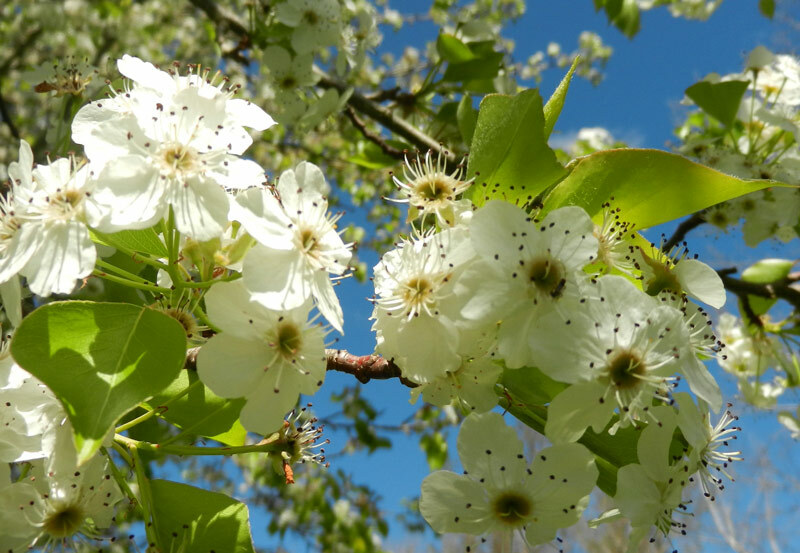 Like the other ornamental pears it is sun-loving and tolerates both heavy wet soils and dryness once established and has abundant white spring blossom but no edible fruit. Excellent resistance to urban pollution and compaction. Up to 11m. * The narrowest form of pear available in Australia. Its width of no more than three metres at maturity makes it ideal for the tightest of urban locations. 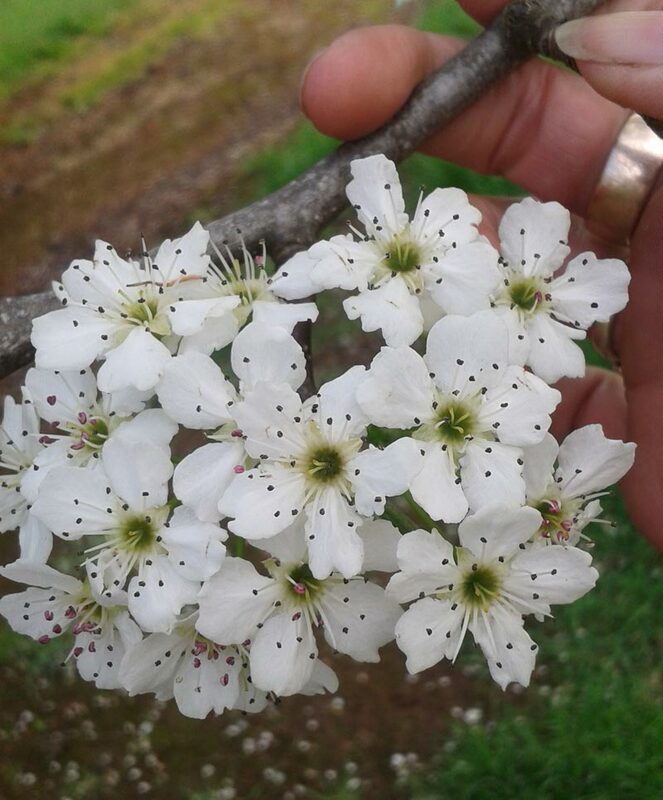 Just as decorative and resilient as the other Ornamental Pears but not an ideal specimen for rural plantings where more space is available. 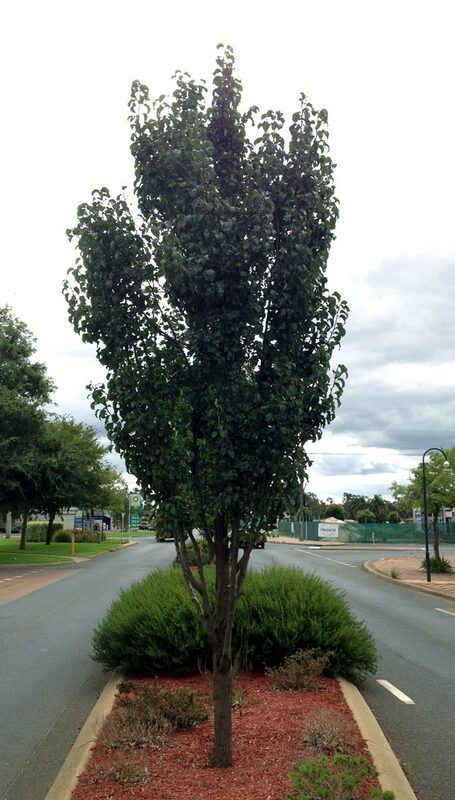 Up to 10 m.*Also known as “Chanticleer” this is a tall narrow ornamental pear for restricted spaces. 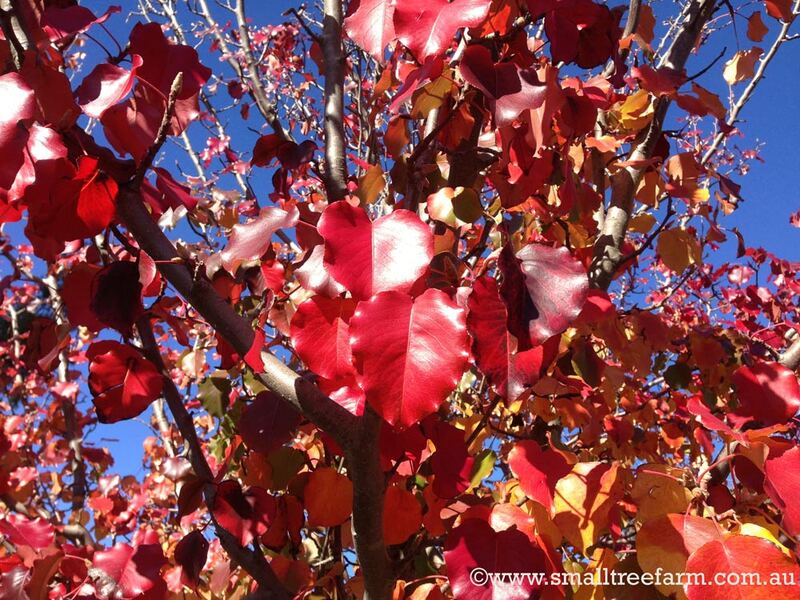 A beautiful tree that shares many of the other ornamental pears hardy and showy characteristics. 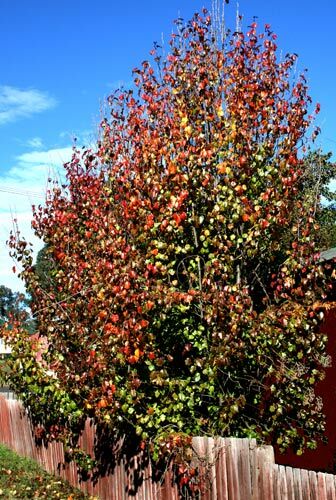 Its vertical shape makes for an extremely versatile and popular tree for driveways, small gardens and urban streetscapes. Up to 8m. 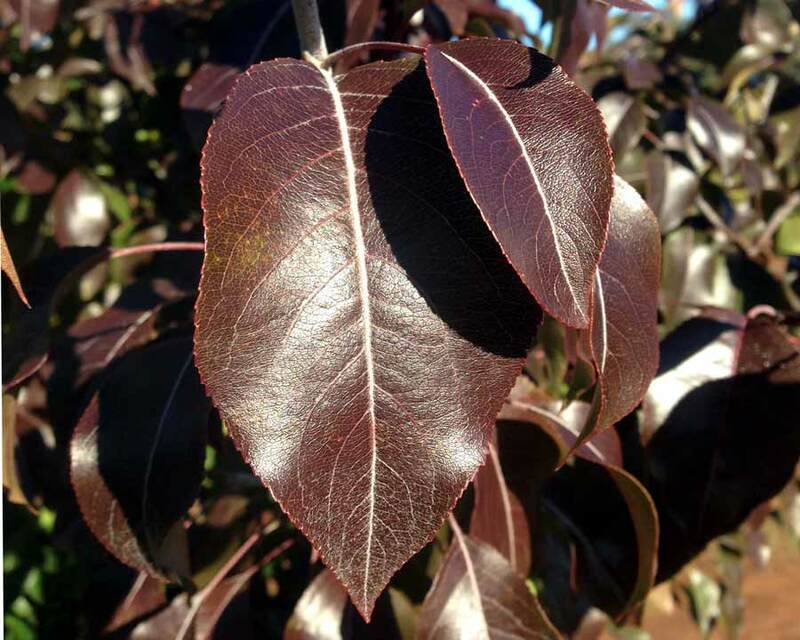 * This medium compact rounded pear, with a silvery grey toned leaves provides a much darker purple and red palette in autumn. 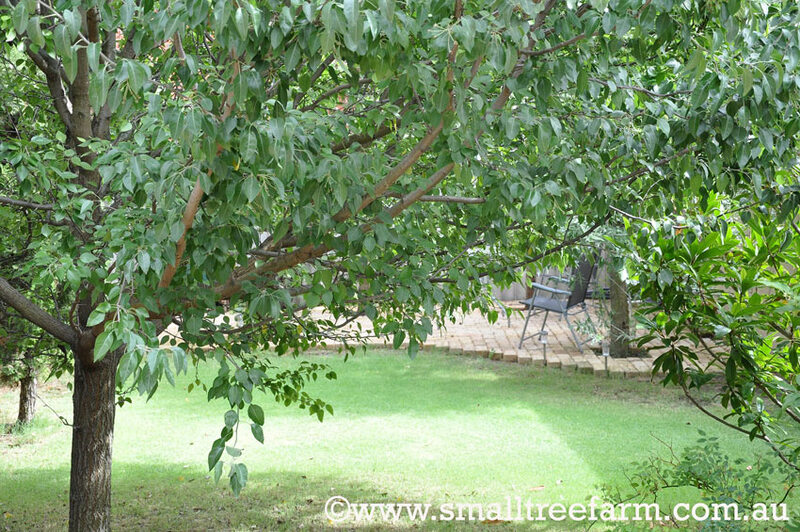 Although it features a whole rounded canopy it is less spreading than the Manchurian or Snow Pear and therefore is perfect as a small feature tree. 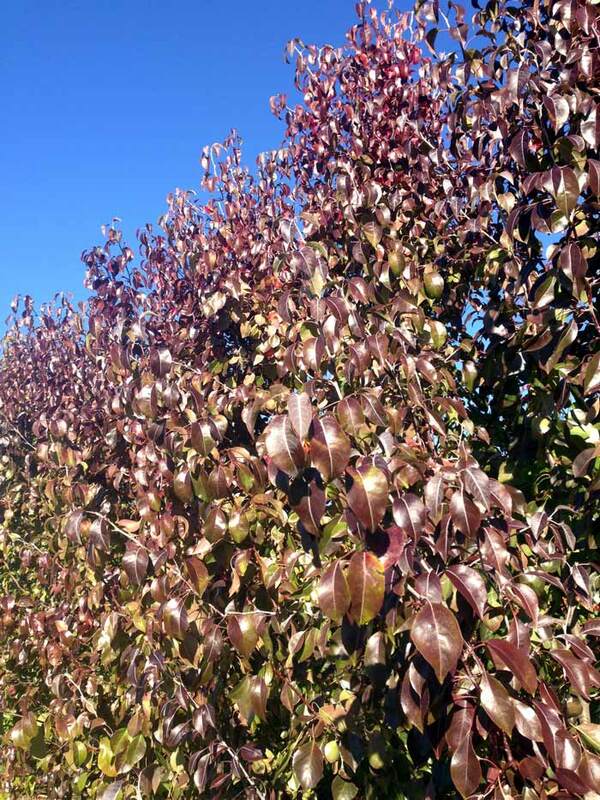 Boasting beautiful blossoms, autumn colours and all other ornamental pears hardy characteristics makes this tree ideal for any small garden or urban landscape. 5-6m exceptionally 8m. 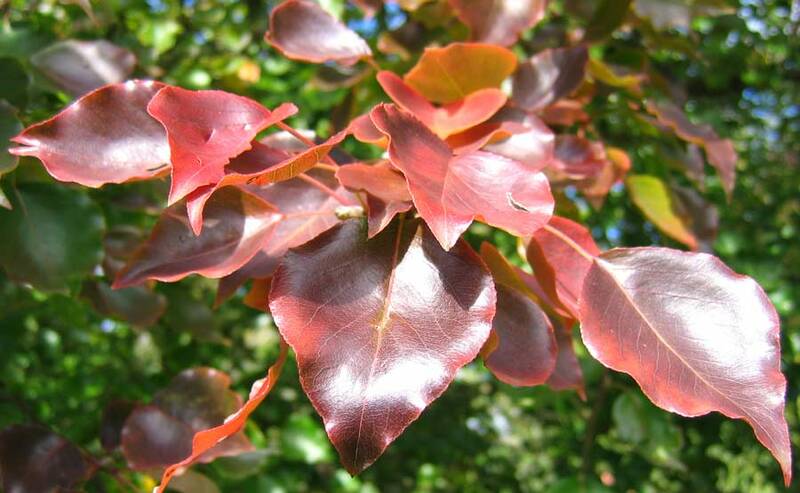 * This small tree is also low maintenance and hardy but differs in that it has silvery grey green foliage and a semi pendulous branch structure which can create a very striking foliage contrast within the landscape. 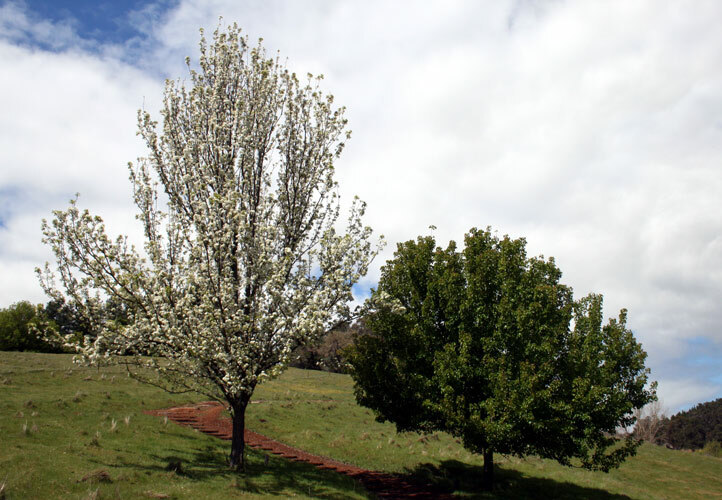 With masses of white spring blossoms this tree turns to impress with great autumn colour. 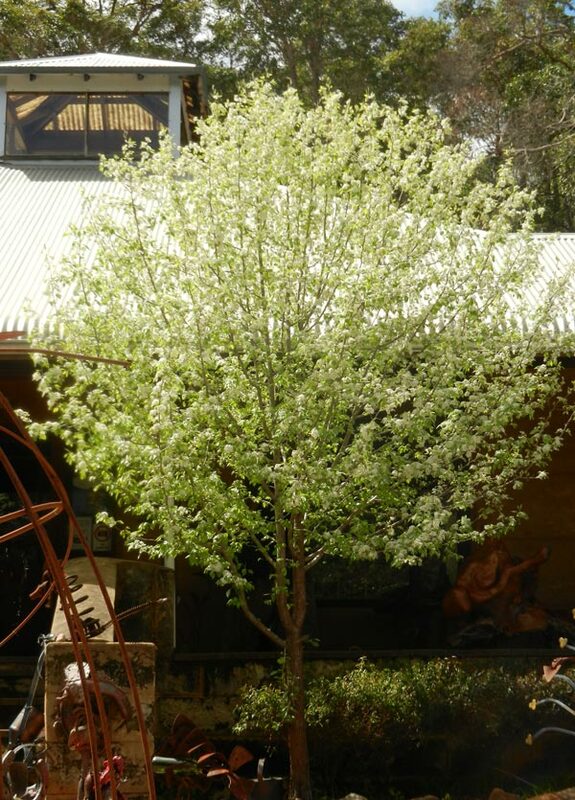 The Snow Pear is perfect for small gardens and also compliments modern architecture with it silver foliage. 6-7m exceptionally to 9m. 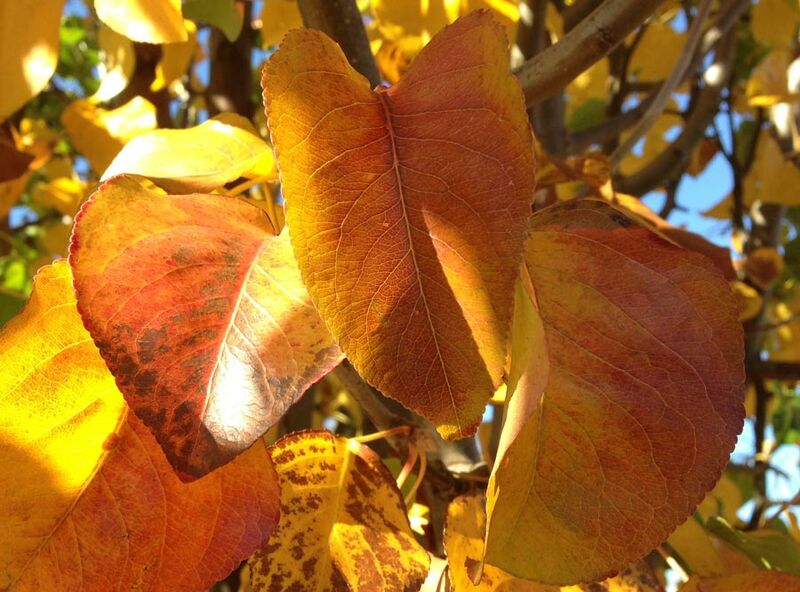 * From the far east of Russia possibly the hardiest of all the ornamental pears and a favourite for its spreading shape. 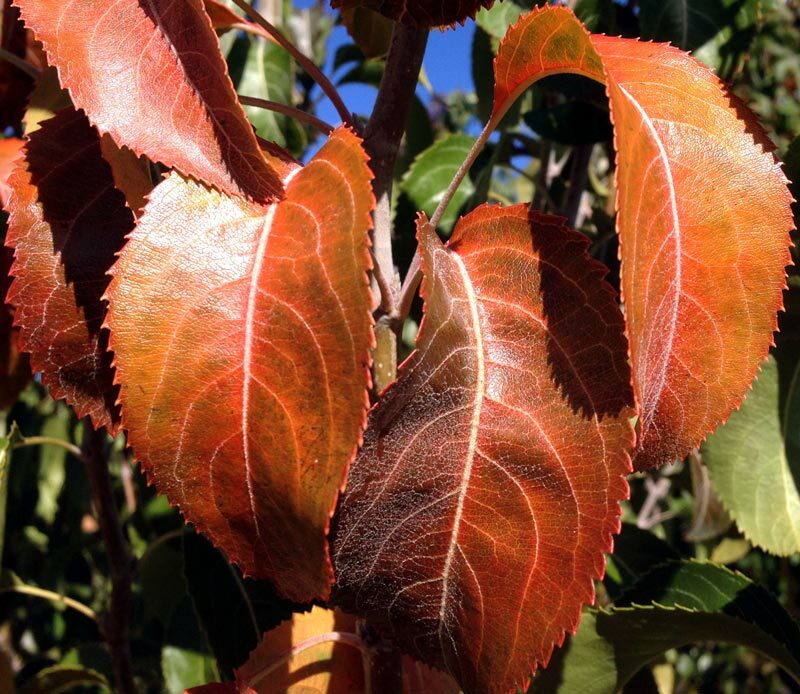 As autumn arrives the top of its crown is in brilliant shades of scarlet with the leaves changing to rich oranges before they fall. Earliest to flower with pinkish buds and pinkish white flowers. 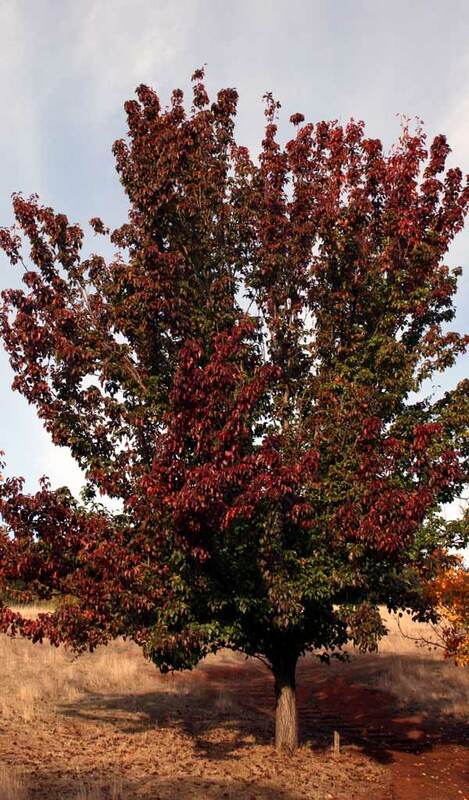 It is often nearly as wide as it tall and its more relaxed habit with spreading lower branches makes for a lovely shade or specimen tree.